When you need an expert to help put the pieces of your world back together after a loss, we’re here to help. 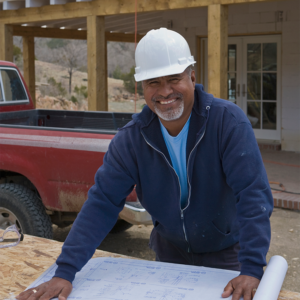 Our Preferred Contractor Program connects you with the best in the business. Each contractor has undergone a lengthy review process and is closely monitored to ensure a high standard of quality is maintained. Contractors in the program provide service in Maine, New Hampshire, Pennsylvania, Vermont, and Virginia. With many vendors to choose from, you’re in charge of who you want to repair your home or property. You are under no obligation to use a contractor from the program, it’s just an added benefit for our valued policyholders. We do not warranty the contractor’s work, however, the program has been designed to provide you with quality options who can provide a timely response to your needs. Use of these Preferred Contractors by you represents your decision to choose the vendor and work with them without liability to MMG and any contracts will be between you and the vendor you select. If you have questions regarding our Preferred Contractor Program, please contact MMG’s Preferred Contractor Coordinator, Heather Morey, at 1-877-568-4652 or by email at heather.morey@mmgins.com. More information can be found in our Preferred Contractor Program brochure.